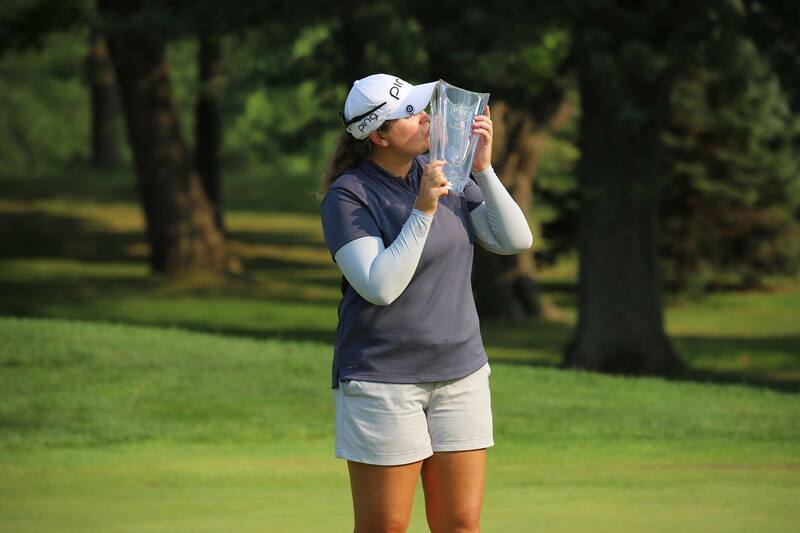 Lauren Coughlin, from Charlottesville, VA, stepped into the winner’s circle for the first time as a professional at Brown Deer Golf Course this weekend. It was a bogey-free final round performance of a 6-under par 66 variety that helped her climb the leaderboard into first place at the fourth annual PHC Classic. Meanwhile, Dottie Ardina (Laguna, Philippines) earns her fourth runner-up result on the year. A bogey-free, 2-under par final round was not enough to capture her first career victory, as the current No. 1 in the Volvik Race for the Card finished at 15-under par for the tournament. As the official United States qualifier for The Evian Championship, the top-two finishers earn an exemption into the fifth and final major on the LPGA Tour schedule. Therefore, with their 1-2 finish, Coughlin and Ardina are headed to Evian-les-Bains, France from Sept. 13-16.